“Most indicators saw muted growth trends in February. Consumption, trade and capex data were the key negative. 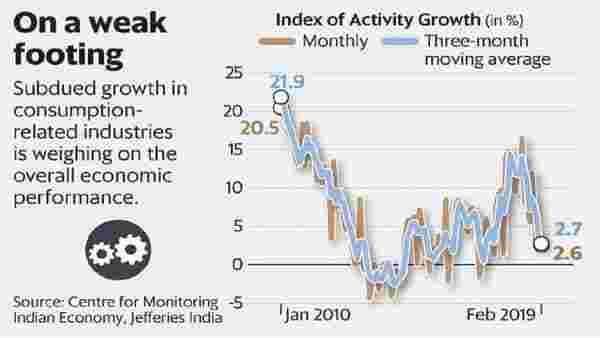 Momentum indicator also remained negative with 14 of the 36 indicators deteriorating,” Jefferies India said in a report on 3 April. “The policy guidance was not as dovish as markets expected. That the stance was maintained at ‘neutral’ underscores our expectations that the committee prefers to stay data-dependent, but with a dovish bias,” DBS Bank Ltd said in note.